The federal government is trying to axe important consumer protections, called the Future of Financial Advice reforms, or FoFA. These consumer protections came too late for some people, like Lyndi, whose story shows the devastating impact of bad financial advice. But now that we have these protections, we need to fight for them! Financial advisers are supposed to help consumers make the right decisions to suit their needs, not push risky products that earn them bonuses. 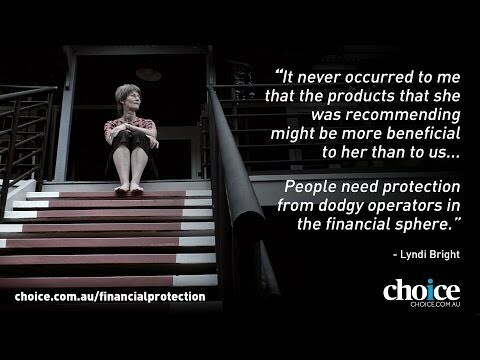 Consumers need trustworthy financial advice that works for them, not the banks. They also deserve not to have their futures eaten away by hidden fees.